A Quebec coroner says driving while fatigued should be treated more seriously and recommends that it be subject to the same heavy fines and penalties usually reserved for people who drive under the influence of alcohol. A Quebec coroner is calling for more severe regulations concerning people who drive while fatigued. Coroner Quoc-Bao Do equated driving while drowsy with driving under the influence and said drivers should be subject to similar hefty fines and penalties. 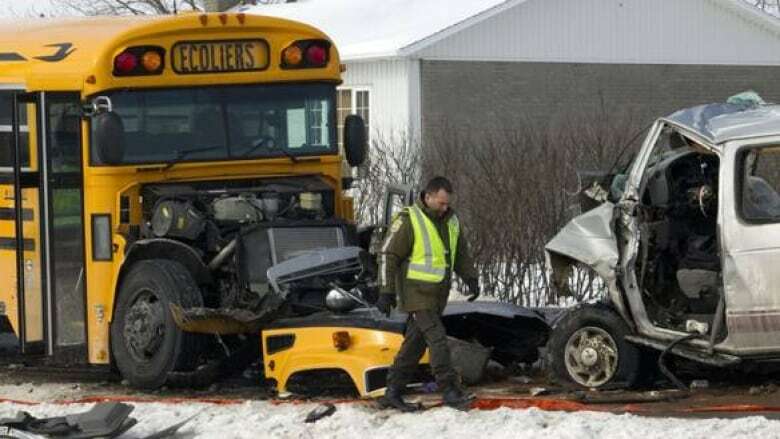 In addition, Do made two recommendations based on a three-year investigation into a February 2011 collision that killed five men in the Lanaudière region. Heighten the awareness campaign by the SAAQ (Quebec's automobile insurance board) about the dangers of driving while fatigued. Post signs along Quebec's highways reminding drivers to stop for rest breaks and warning them about the deadly risk of driving while drowsy. The 2011 crash happened at a sharp junction, where Highway 345 intersects with Highway 158. The men, farm workers who were returning home after work, died when their van collided with a school bus carrying children. Do concluded the driver's fatigued or drowsy state ultimately caused the collision. In his report, the coroner made no mention of the intersection being well-known as a dangerous spot. A second fatal crash occurred at the same intersection six months after the February 2011 crash. According to the SAAQ, an average of 116 people die while driving each year owing to fatigue and nearly 10,000 more are injured.